Hack-a-Day reader [Bobbie] sent us a hack that is an adaptation of the automatic cell phone button pushing machine we featured earlier this week. Inspired by that project, he challenged himself to construct a more efficient way to tackle the problem. He started out in much the same fashion, pointing a camera at the phone in order to view the display remotely. The main thing he focused on to make his project unique was they way in which the buttons on the phone were activated. He was impressed by the mechanical button pressing rig, but thought it to be overly complicated. Instead, he decided to send button presses over Bluetooth to his phone which happened to be AT+CKPD compatible (PDF). Not only that, his interface is quite impressive too. Originally planning to use the keyboard to send input to the phone, he changed course and programmed his video stream GUI to register mouse clicks instead. Now, when he clicks one of the phone’s buttons in the video display, the appropriate button press is sent to the phone – Awesome! 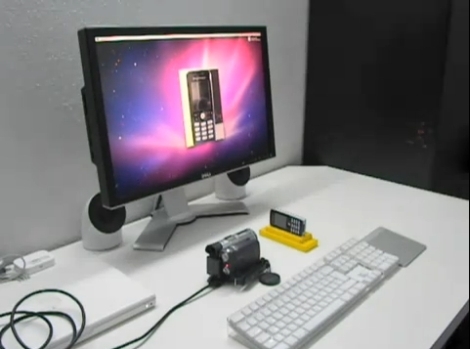 Keep reading to see a video of his remote phone interface, you’ll be glad you did. [Mr G] in London sent in his pin sentry hack. 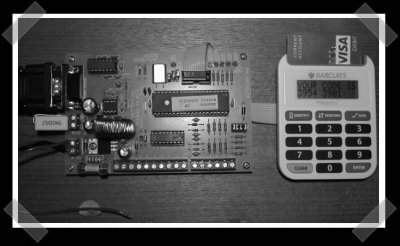 He wasn’t pleased that the device looks like an old calculator, so he rigged up a SMS board to send him his pin on demand. He multiplexed the output of the display driver to the SMS board. When he authenticates from his phone, the board sends a message with the latest code.